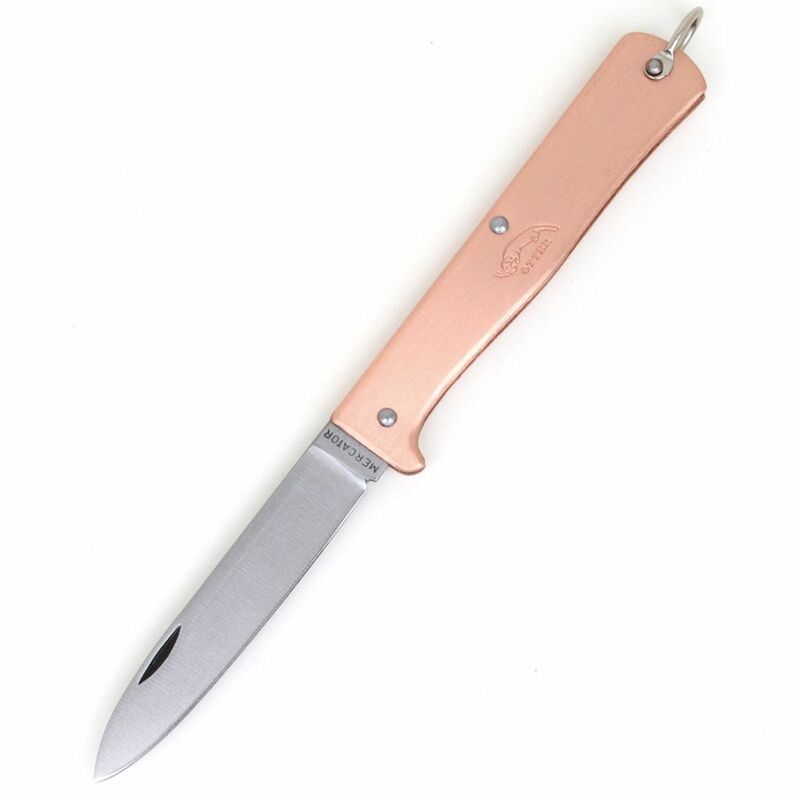 Buy this Otter Messer Knives, Little Mercator, 10-601RG, non locking folding pocket knife. 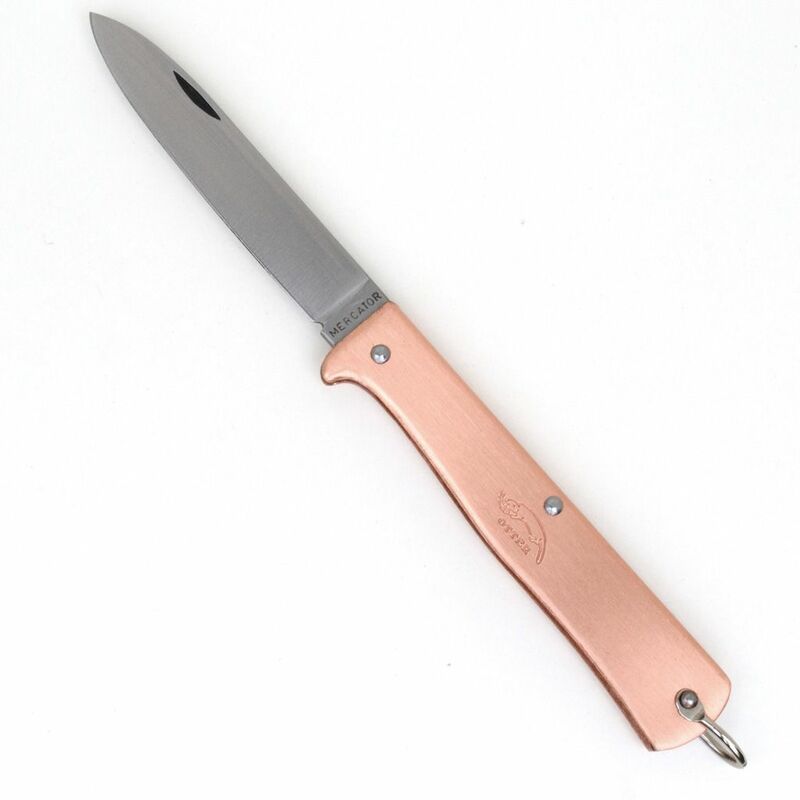 Measures 100 mm (3.9 inches) closed, 8 cm (3.1 inches) flat grind, C75 carbon steel blade with 7.5 cm (2.9 inches) cutting edge. 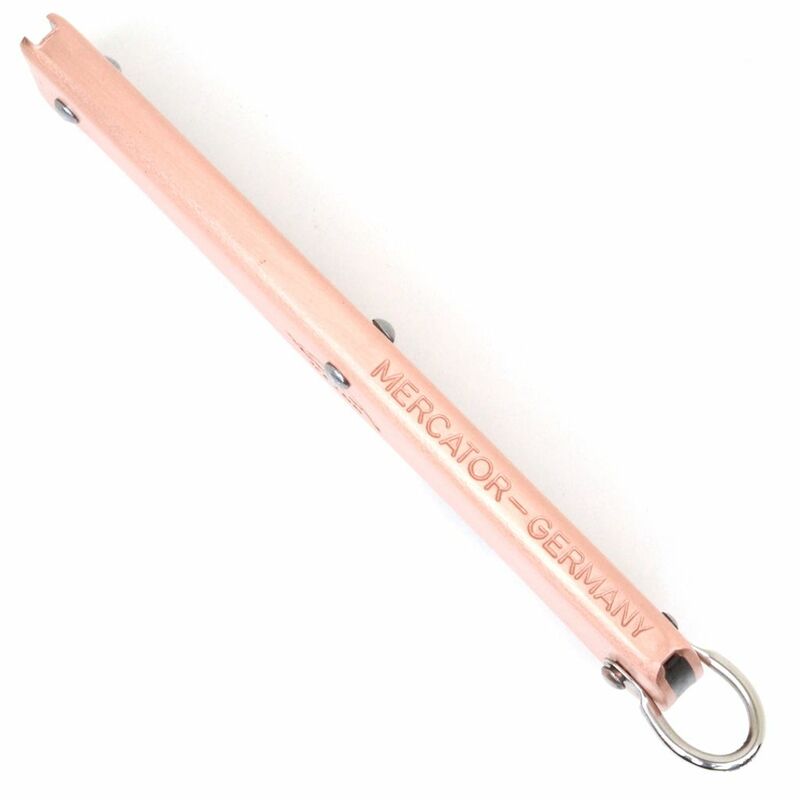 1 cm thick, polished copper handle with lanyard ring, die stamped from single piece, embossed along the spine with Mercator-Germany. 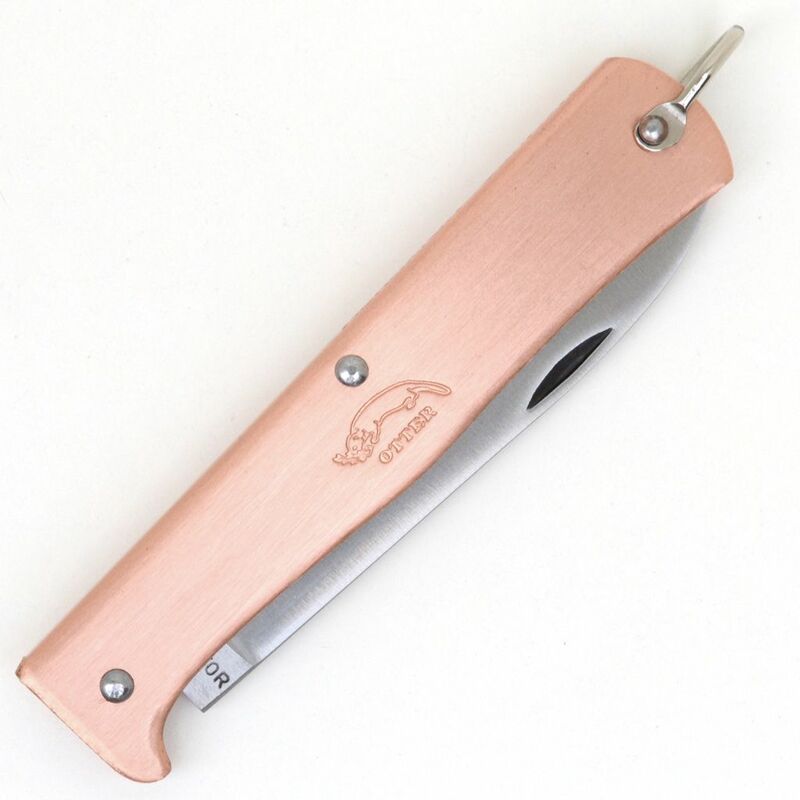 Based on traditional German Mercator brand folding knife, hand made in Solingen, Germany, supplied in cardboard knife box. Ideal, low profile, every day carry, folding pocket penknife. C75 carbon steel gives extremely sharp, long lasting cutting edge, with fine molecular structure. 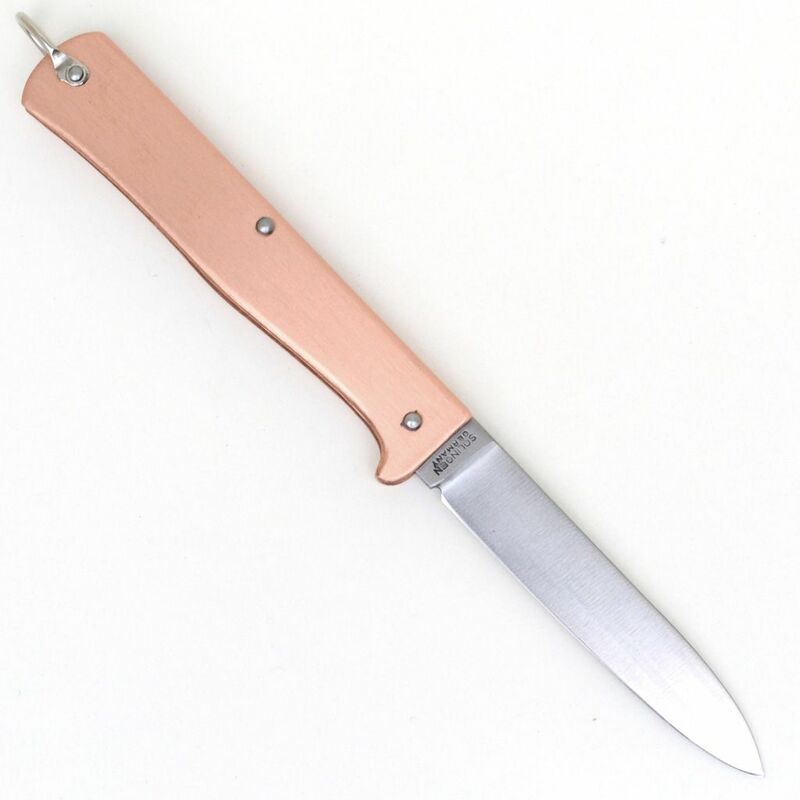 Note: carbon steel knives should be cleaned and oiled after use to prevent corrosion, small toolmarks from manufacturing may be present on handle, due to soft nature of copper material, this is not a fault.